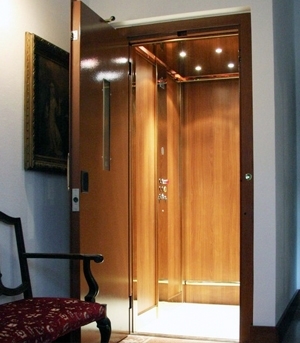 The Elegance Home Elevator combines the latest technology with functionality and design offering you a wide variety of finishes and configurations. It comes with the option of a modular metal shaft structure or can be installed into an existing or pre-built shaft. Despite its compact exterior dimensions it is very spacious inside. You can use the lift to get from one floor to another but it's also ideal for transporting shopping, laundry, furniture, etc. The Elegance is easy to fit into an existing space, such as a closet or in the hall beside the stairs. Moreover, a lift pit is not necessary.